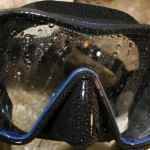 Our useful spearfishing kit guide aims to inform the beginner and novice spearo of what you’ll need for a safe and successful dive. It will also help you to understand kit specifications, styles and makes. Once you’re ready, head on over to our spearfishing shop. 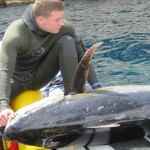 Well, the first thing you need to go spearfishing is a reliable and accurate speargun. Unlike your fishing rod, you will never need bait or hooks and it will give you seasons of use as long as you give it a proper rinse with fresh water after every dive. Grip – needs to be comfortable and steady as you will swim long distances with it. Barrel – a good length for a beginner is 70-80cm. You can go for a tough aluminum barrel as seen on our Skopria range. For extra precision you may prefer a raligun with an integrated rail for accuracy. For those wanting the maximum in handling and accuracy we have carbon rail barrels, all of which are available in lengths 70-80 cm. Muzzle – holds the bands and shaft in place. A low profile muzzle is our default option and is excellent for aiming. Some divers prefer an open muzzle which we can supply but we would advise our standard muzzle for UK conditions. Bands – 16mm -20mm bands are available. 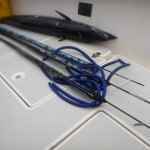 20mm are more powerful but 16mm are fine for most UK spearfishing. A set of bands should last you a full dive season. For longer life do not store them exposed to sunlight. For maximum life they can be stored in the fridge if the gun is not to be used for a while. For UK diving we advise a 6.6mm spear if you are using 20mm rubbers or a 6.3mm spear if you are using 16mm rubbers. If you accidentally hit a rock, you can sharpen the spear easily with a rasp file. Make sure you wash the spear in fresh water after every dive and keep it out of the gun when being stored. This will reduce the chance of corrosion. 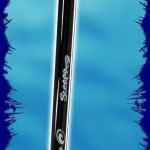 Should your shaft get bent, for example by a conger eel, although it can be more or less straightened by bending it back across your knee, we would advise a replacement shaft to ensure your accuracy is not affected. It is very unusual for a shaft to get bent in the first place in the UK except with congers. You need a float at all times when diving in the UK. The primary function is to warn boat users of your presence, and to show your position should you get into difficulties. The other function is that it will stop you ever losing your speargun. Your speargun connects to your float via the floatline, so if it every gets dropped, or gets stuck after you shoot a fish in a crack on the bottom, you can always find your gun again. 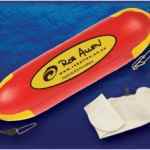 We suggest 35l inflatable floats give the best visibility, and do not cause much drag to swim with. For those preferring a smaller float an 11l inflatable is suitable. Our olive floatline is easily wound up so that the length can be set without a bulky line winder see the instructions on how to coil a floatline. For UK conditions we suggest 10m extra over your usual diving depth. For most intermediate divers a 20m floatline is ideal. Our lines are very strong and resist abrasion. For the UK you will need a 5mm wetsuit to dive through most of the year. Camouflage is a matter of preference, but it is important not to wear anything too brightly coloured. Most spearos in the UK use camo suits now, but some still prefer the traditional black. 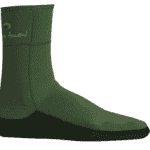 Make sure you put hot water mixed with soap down the suit before putting it on; spearfishing suits need to be wet to put on, but are more comfortable and warmer because of this sticky ‘open cell’ lining. You need gloves which will not impair your dexterity. 3mm neoprene or neoprene with alcantara are ideal. Gloves will need replacing more often than most items of kit due to the effects of grabbing barnacled rocks and spiny fish! 5mm socks are the warmest, but 3mm are fine for summer. Check the fit with your fins, It is best to order your fins a size bigger than usual if you want to use 5mm socks. The best and most powerful fins are the carbon range which are exceptional for deep diving and swimming long distances. Most divers begin the sport with plastic fins which are very durable, and fine for surface swimming and diving to medium depths (10-15m). 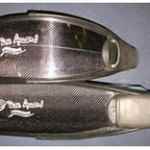 When divers start to look for game deeper they will usually move onto a more advanced carbon fin. You need a mask with a good wide field of view so you can see as big an area as possible without moving your head. The mask also needs a low volume so it will not be dislodged by rough seas or banging a rock. The couta and snapper are perfect spearfishing masks for beginner and expert alike. The weights belt needs to be either rubber or webbing with a release mechanism you find easy to activate incase you need to drop it in an emergency. Experiment with the right amount of lead for yourself, to get the balance perfect. For a medium build diver with a 5mm suit, try 8kg as a starting point. You need your stringer on your float to put your catch on. A heavy duty stringer will not break and is the easiest way to carry your catch when back on land. Do not attach to your belt; it can catch in the seabed or attract the attention of seals and other predators who may want to share your catch! A small, sharp pointed knife with a reliable sheath is needed. Tying a bungee to the knife is a good way to avoid losing it should it come out of its sheath in breakers etc. You will use the knife to kill the catch, stabbing into the top of the head just behind the eyes. Be careful not to cut yourself in the process.